The prettiest Nike Air VaporMax 2019 has just been unveiled and we are convinced that it will be all over your social media in no time. Dubbed Pink Rise, this sneaker shows off a series of hues of pink contrasting against white colouring over the rest of the silhouette. 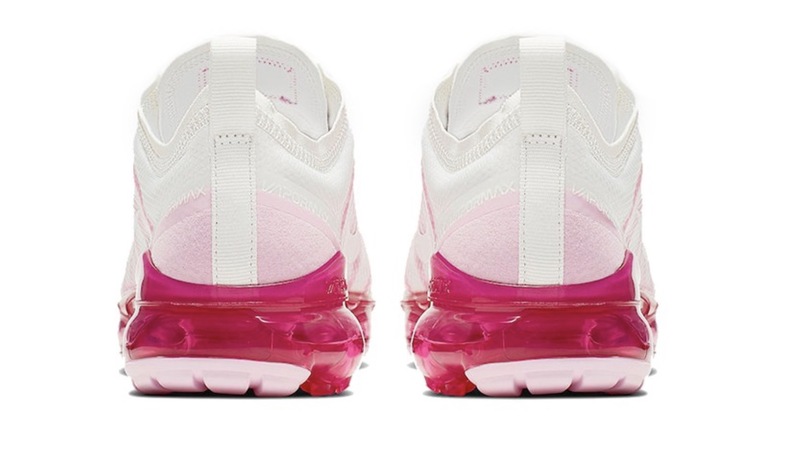 A semi transparent material comes over the top of the sneaker, as on the previous Air VaporMax 2019 versions, showing off a triangular lace cage underneath in hot pink. This lace cage comes out the sneaker at the eyelets where pink branding can be seen on the tongue of the sneaker. 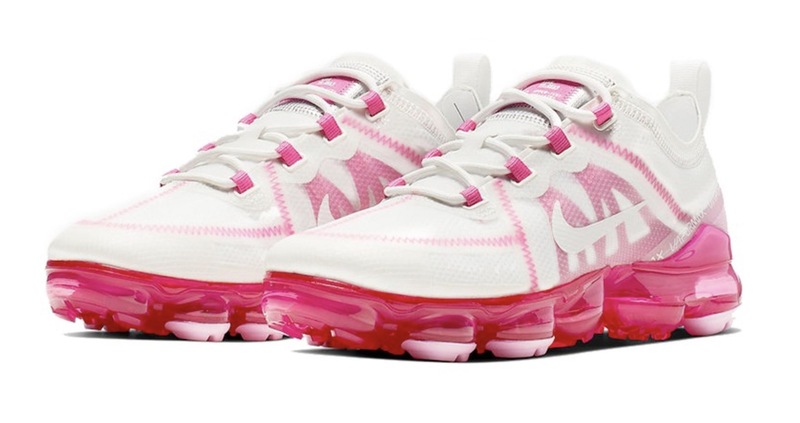 Throughout the Nike Air VaporMax 2019, pink zig-zag stitching holds the silhouette together, keeping the colourway theme going all the way over the shoe. 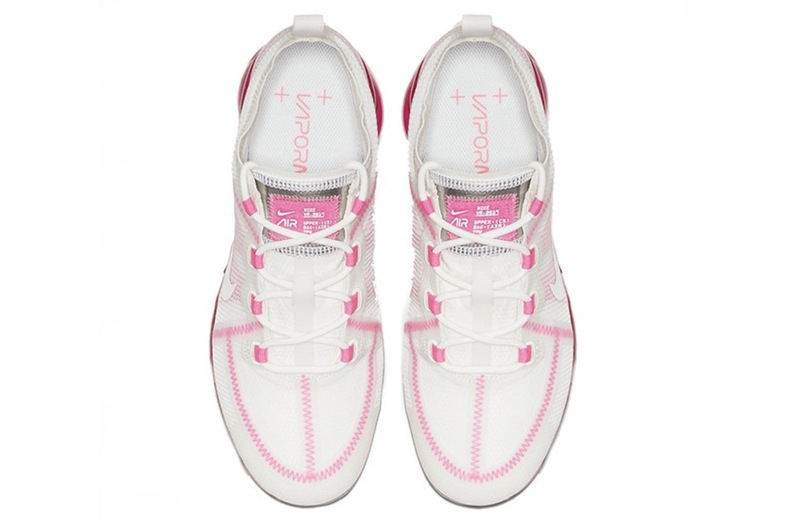 Below foot, a bright pink midsole adds a burst of colour to the shoe in the most vibrant section, completed by baby pink sections on some of the outsole’s notches, which give extra durability in the high impact areas. 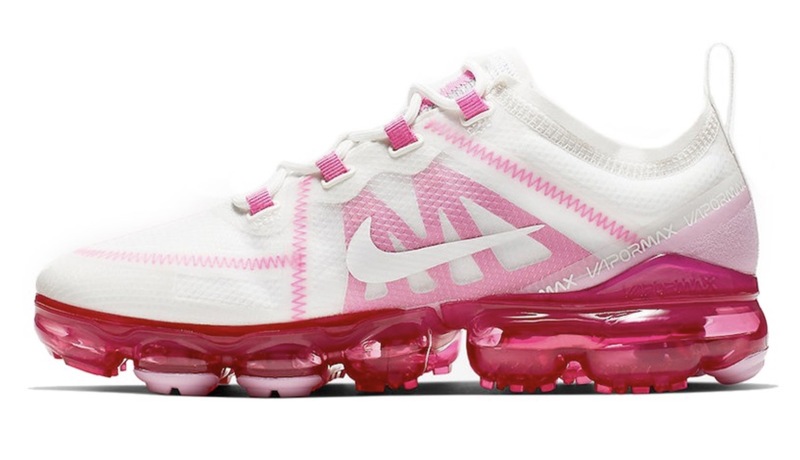 There is no official release date for the Nike Air VaporMax 2019 Pink Rise, so stay tuned to The Sole Womens website for all release information on this silhouette!